This week's podcast by the Hip Hop Caucus’ Think 100 Show, features Fr. 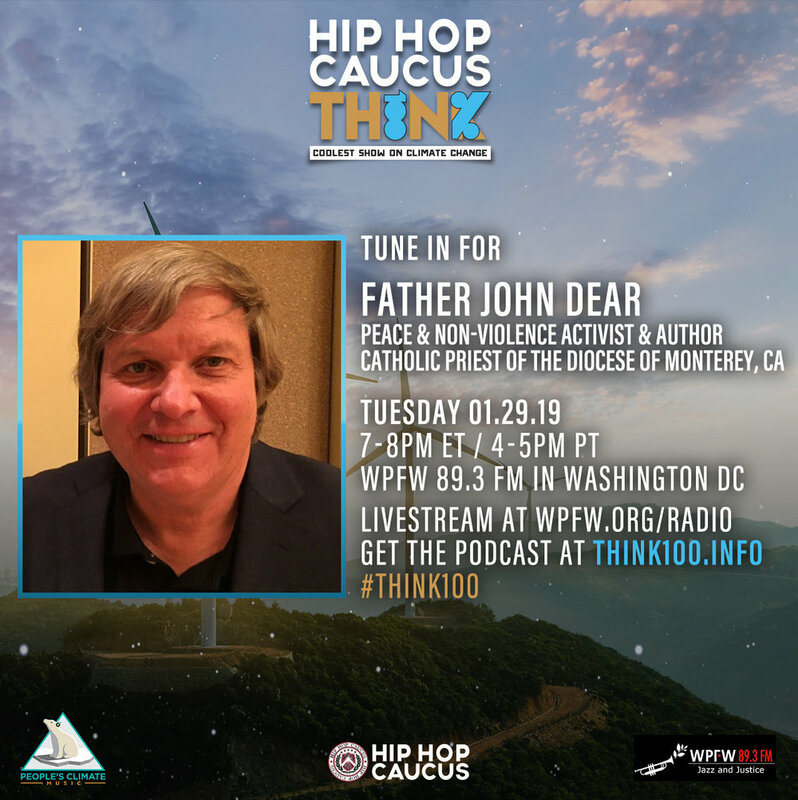 John Dear discussing the recent incident when Catholic high school kids harassed an indigenous leader and others at the Lincoln Memorial in D.C. on the Dr. King holiday. 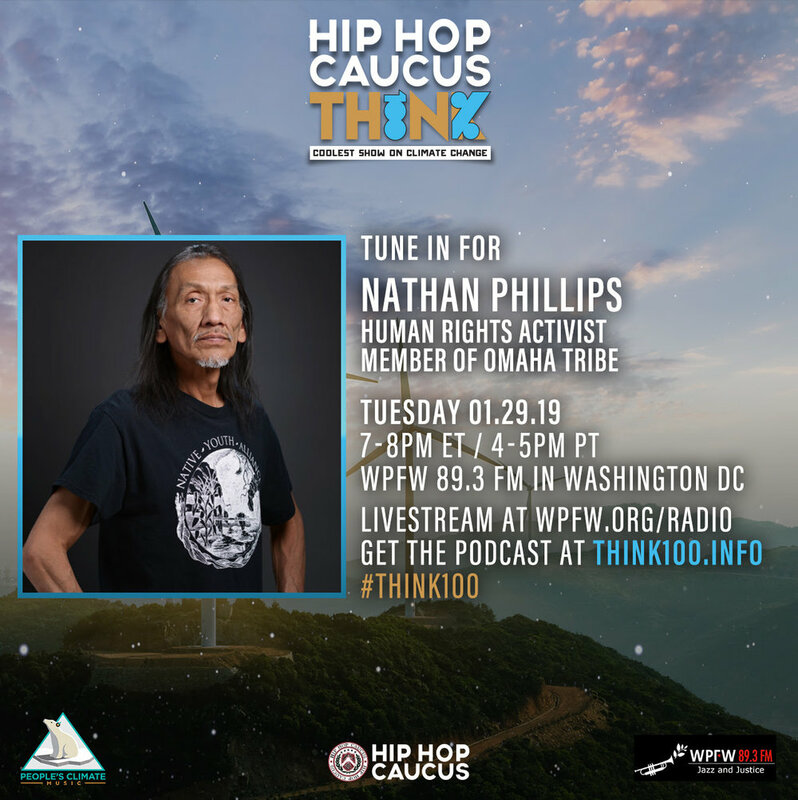 The podcast also features Nathan Philips, the indigenous leader who was at the Lincoln Memorial that day, and Rev. Lennox Yearwood, founding leader of the Hip Hop Caucus and longtime Pace e Bene board member. Listen to the podcast episode on itunes here or below. This week we have a special episode of Think 100% on the day we remember the Bear River Massacre that took place January 29, 1863. We dive into what happened on the steps of the Lincoln Memorial, what the Indigenous People’s Movement is about, what our climate movement can do to follow the knowledge, wisdom and expertise of Indigenous people’s across this country and world, and the crossroads the Catholic Church is at today between a culture of division and bigotry, or a vehicle of peace and nonviolence.